I’ve been interested in space for as long as I can remember and I was trying to wrack my brains to figure out exactly what it was that got me into it. In a dark corner of my brain, a book appeared: The Arthur Mee’s Children’s Encyclopaedia. I remember having the abridged version as a kid and the space chapter fascinated me. If you are of a certain age you will remember the carefully sketched, cross section diagrams of US and Soviet rockets, and the occasional picture of Neil Armstrong on the Moon, or Yuri Gagarin floating around in space. The problem with the traditional encyclopaedia is that it is out of date as soon as it is printed, which was as true in the 1920s, when my mate Arthur started writing, as it is now. Thankfully for us, iPad apps change all of this with regular updates to apps and iBooks, and today’s children can have up to date information at their fingertips. Here is a round up of some apps which will help introduce, or further your child’s knowledge of space. This article will list them in age appropriate order, youngest first. 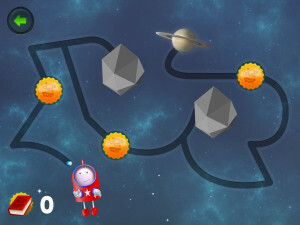 Inkology have released fours apps which can foster discussion between you and your little one about space. The first of which is called Jetpack Journeys: Astronaut Trainer. This is a pretty polished app and it has some good mini games in which should appeal to the under 5s. There is a match up game and a few directional based games. 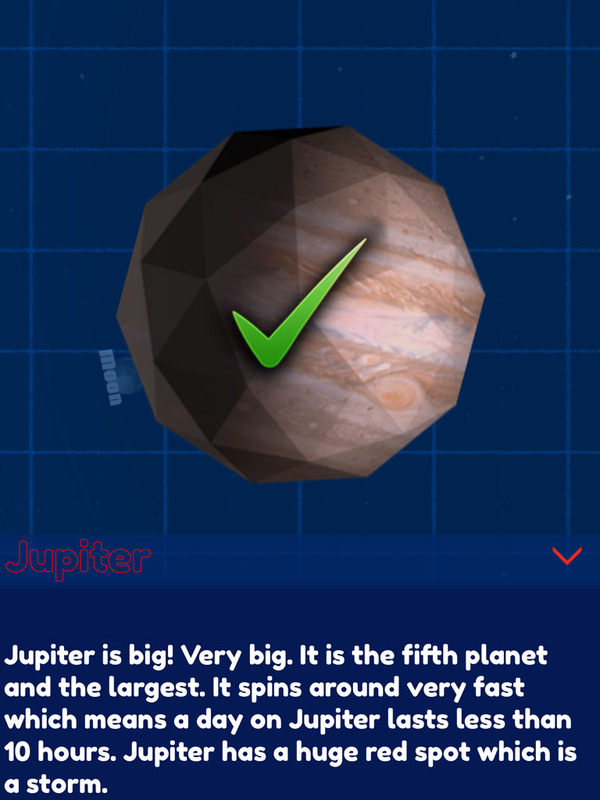 The nice thing about this app is that as you complete each mini game, you get a number of ‘space facts’ depending on how well you do. Each fact is accompanied by a picture, and the fact is read aloud to the user. This app has decent replay-ability because of the variety, and quick to finish nature of mini games on offer. Jetpack Journeys: Space Exploration is another polished affair with some nice colourful graphics. This app introduces the planets and you can fly to each one in a custom built space craft to collect stars which are hidden in each planet. I did like the attention to detail in this app in that gas planets have gas style graphics and rocky planets have rock based graphics. I even noticed that each planet has the correct moons as the background rather than a generic one. The only issue with this app is it is slightly repetitive in that all levels play the same, although they look different. You don’t get space facts for completing missions in this game but certainly it could provoke discussion with your child in that some planets are made of rock, and some are gas, and you could get them to guess the planet as they arrive at it. Next up is Jetpack Journeys: Discovery, which when I booted it up had the Unity engine logo. 3D environment I thought, interesting! Discovery allows you to fly around in a space shuttle to visit each planet and get a space fact. The only issue is that it is on rails so there doesn’t appear to be a way of deviating from planet to planet. This is not necessarily a bad thing if you are using it with very young children, but it think older children may get tired of this once it has been done once. 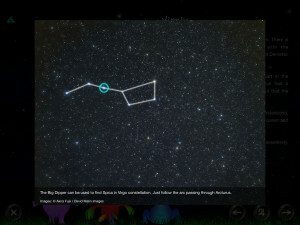 The final app from Inkology is Stargazer. This app has a huge amount of potential, but lacks the polish of the other Inkology apps. Stargazer is a planetarium app which children can hold up to the night sky and see the planets and constellations in real time. When they have found a planet or a constellation, they can tap on it which will reveal a nice chunk of information about it. The idea behind this is fantastic in that they can pick out easily the planet or stars in the app, put the iPad down and see if they can see the same thing in the night sky. My only issue with the app is that it’s graphics aren’t great. Each planet is a multi faced sphere rather than a nice smooth round one. This may have the potential to confuse children in that they may think that planets look like this in real life. However, I’m sure this will improve over time to match the polish of the previous three Inkology apps. Jetpack Journeys: Astronaut Trainer is available here. 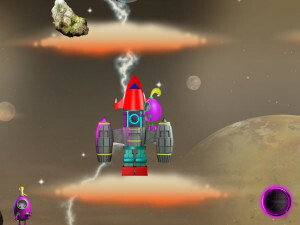 Jetpack Journeys: Space Exploration is available here. Jetpack Journeys: Discovery is available here. These apps are priced at $0.99 each, apart from Stargazer which is currently free. Next we have two apps which were developed in partnership with the European Space Agency, and are aimed at slightly older children than the Inkology apps. The first app is called Kiwaka, which to me is an app you could start to use with your children in conjunction with a proper telescope viewing session. 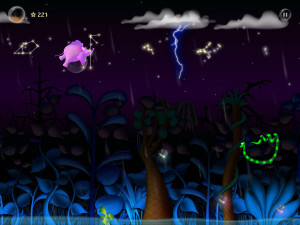 Kiwaka focuses on Flappy Bird style gameplay where you have to keep your character, in this case a pink elephant on a bubble, in mid air and get it to catch fireflies (the significance of this is revealed in the app Kiwaka Story) and avoid birds and snakes. 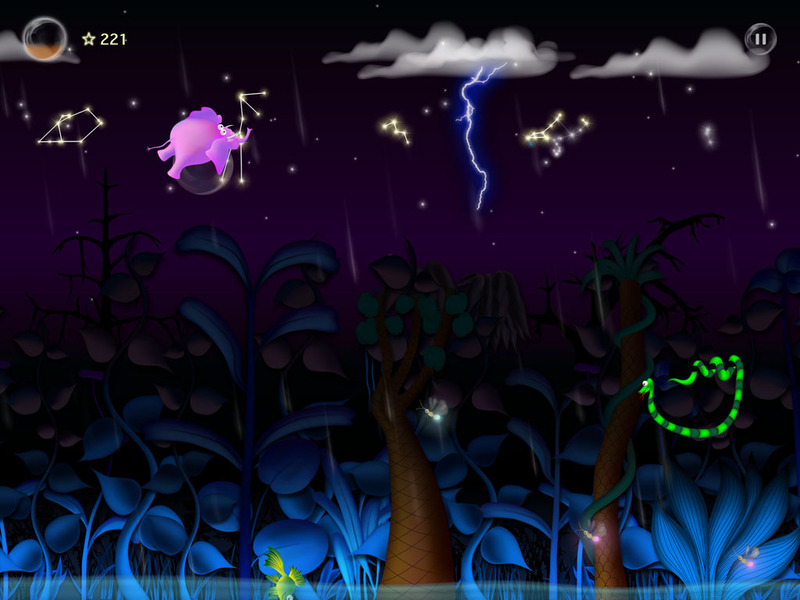 Catching fireflies corresponds to completing constellations, which move you on to new levels. 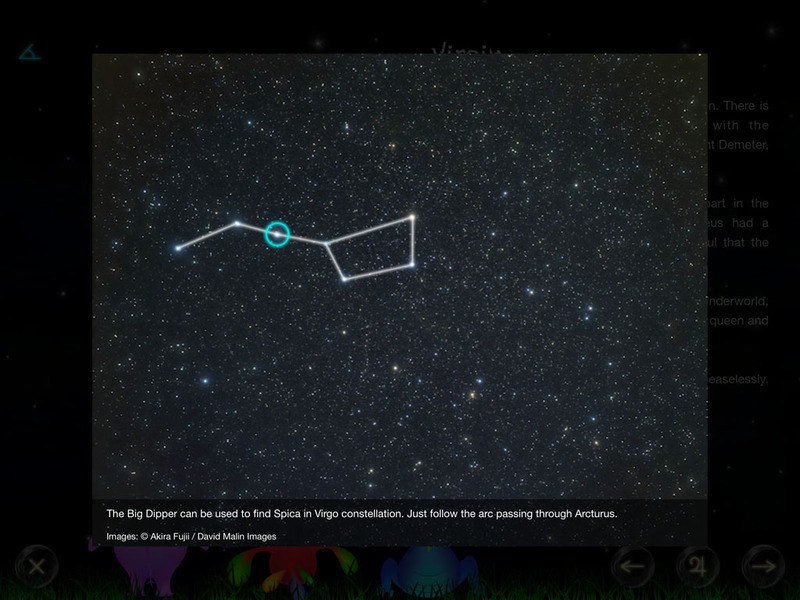 What is quite good about this game is that when you have completed a level and got the constellations, you can visit a sky map, tap on the constellation you have collected and find out lots about it. This is interactive and you can pull up proper pictures of the galaxies and nebula that are found in that constellation. This is where I believe you could use it with an astronomy session as you could view through a telescope the stars which make up the constellations, and also the galaxies and nebula that you have ‘won’ in the game (depending on your dark skies of course). The only issue with the game is that it is quite difficult for younger ones. My 5 year old struggled with the tapping element and if you fail the level you have to do it all over again to be able to move onto the next section of the game. Added to this the levels are quite long, maybe too long for younger children. However, the production values are extremely high in this app and I like the way it melds cartoon style graphics with proper pictures of the universe and the things in it, all wrapped up with excellent narration. 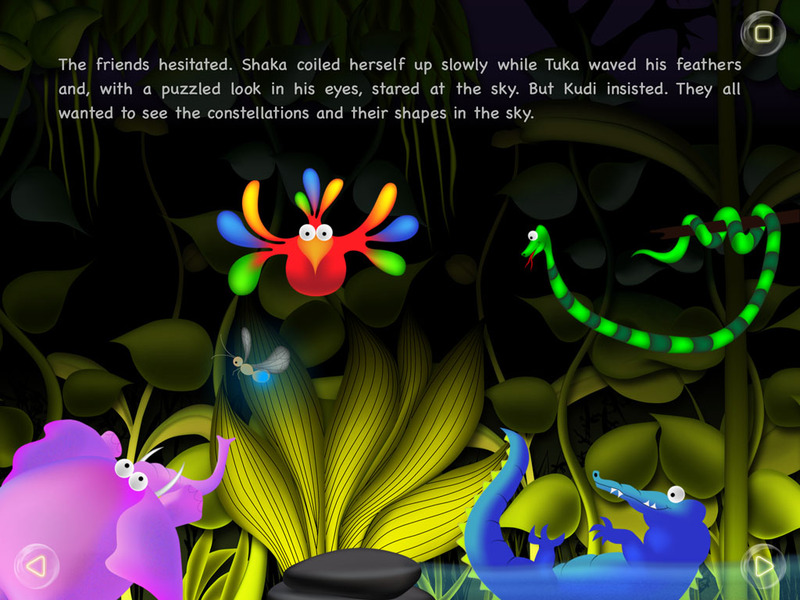 There is also an accompanying app called Kiwaka Story, where you can explore the night sky with your little one. The app is also very interactive and my daughter really enjoyed using it. 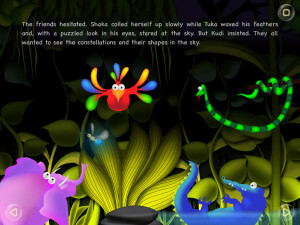 Kiwaka is available in the App Store here and Kiwaka Story is available here and they are both $2.99. 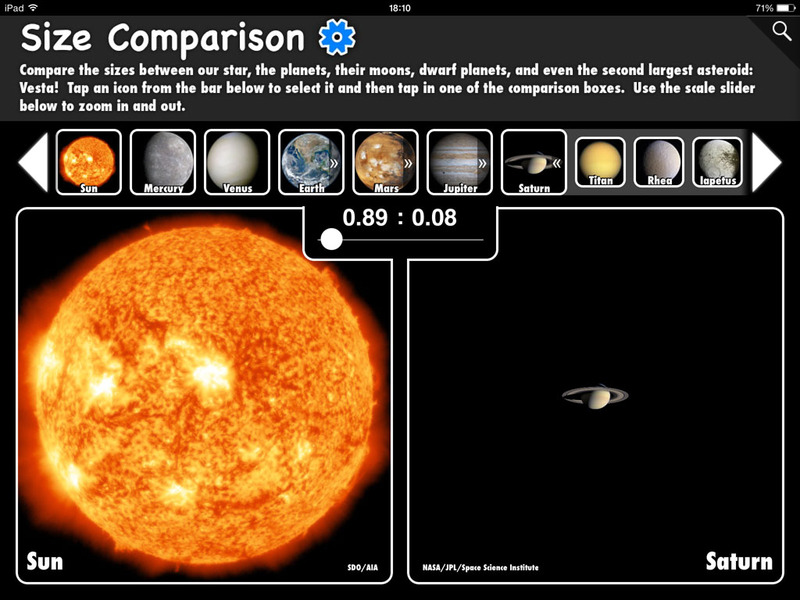 Despite being in the App Store, Interactive Minds: Solar System is rather like a book. Aimed at children around the 8+ mark, there are loads of interactive features in it, with moving pictures and videos, but the parts of it I like are the comparison interactions. 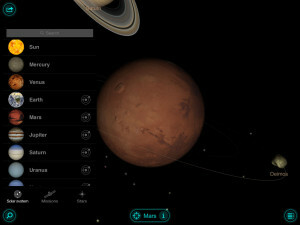 The app allows you to compare the sizes of planets with each other and with the Sun, and also compare what gravity would be like on each planet compared to Earth. This for me is excellent as it gives you a visual indication of how huge things in the Solar System are that no paragraph of writing ever could. The app is very well presented and has a total of 58 pages. There is also a ‘Lite’ version so you can try before you buy. The full app costs $2.99 and it is available here. The final app of this roundup was introduced to me by a colleague last year and has a bit of a wow factor to it. 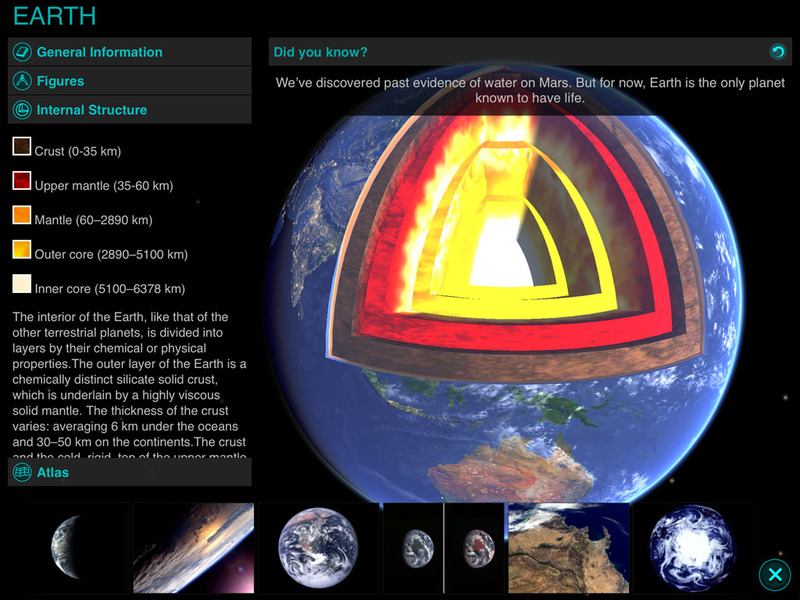 Solar Walk is an accurate 3D model of our Solar System. By accurate, I mean that you can go to any time period in the past, present of future and any physical part of the Solar System. Information on each planet can be accessed by tapping on the planet. Once done, you are presented with a variety of pictures, facts, and even a 3D model of the internal composition of the planet. There are even detailed models of major satellites and rovers. The graphics are also stunning and this presents the most gorgeous, realistic look of the Solar System I’ve come across on the iPad. Static pictures are not really enough to do the app justice. Also, if you have the old red and blue 3D glasses, you can activate 3D mode and have the planets pop out the iPad at you! There is really too much to look at in this app for the scope of this article, but it is unlikely your child will be bored any time soon trailing through the Solar System presented in this app. There are loads of excellent apps which help children of all ages learn about space. Please do share your favourites below in the comments. Disclosure: I was provided with promo codes for all of these apps except Interactive Minds: Solar System and Solar Walk, both of which I bought with my hard earned money.